With vintage dresses like Marilyn Monroe's JFK birthday dress selling at auction for more than one million dollars, vintage is clearly "in." 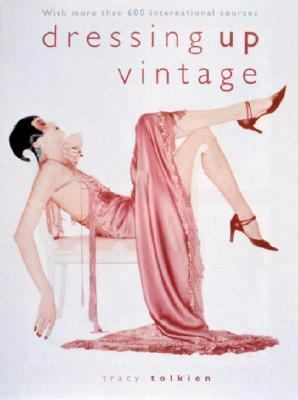 "Dressing Up Vintage" celebrates the best of old-school couture, offering tips on how to spot a valuable garment and how to distinguish one designer from another. an enormous "sources section" features over 600 stores around the world where devotees can purchase vintage clothing. If you love the look of a bygone era, this book is for you!Tolkien, Tracy is the author of 'Dressing Up Vintage' with ISBN 9780847822645 and ISBN 0847822648.